Not enough insulation? Or way too much? With energy prices stable or dropping, it's hard to know how much insulation we should be installing in our homes. 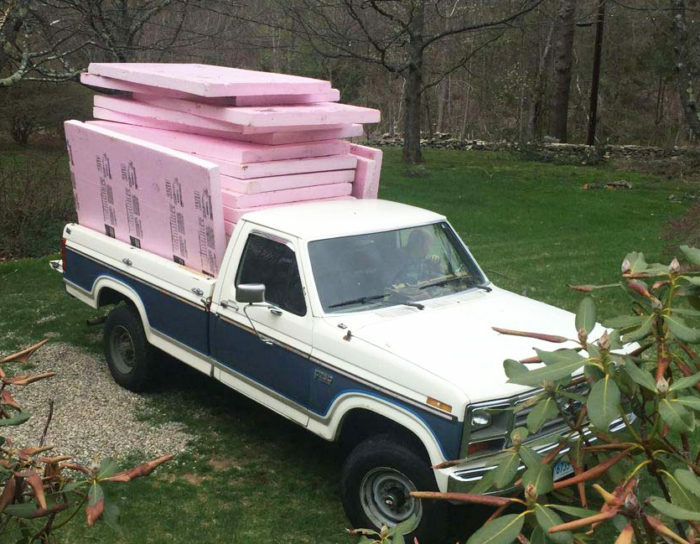 The photo shows a truckload of recycled rigid foam insulation. 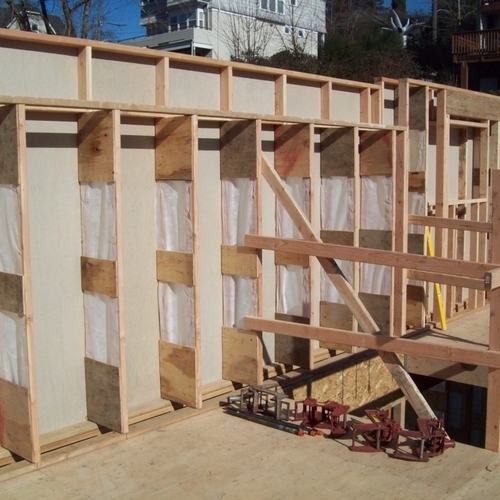 To reduce future energy bills, some builders are willing to include above-code levels of insulation. Each additional inch of insulation saves energy — but with each additional inch, the savings per inch diminishes. At some point, the cost of adding more insulation because hard to justify. Three energy experts recently examined the question, “How much insulation is too much?” These experts wanted to determine whether the thick levels of insulation required by a superinsulation standard developed in Germany, the Passivhaus standard, were justified. All three reached the same conclusion: they are not. The experts presented their findings at this year’s BuildingEnergy 16 conference in Boston. They were trying to answer two questions: At what point are envelope improvements a waste of money? And what metrics or rules of thumb should we use to determine when enough insulation is enough? 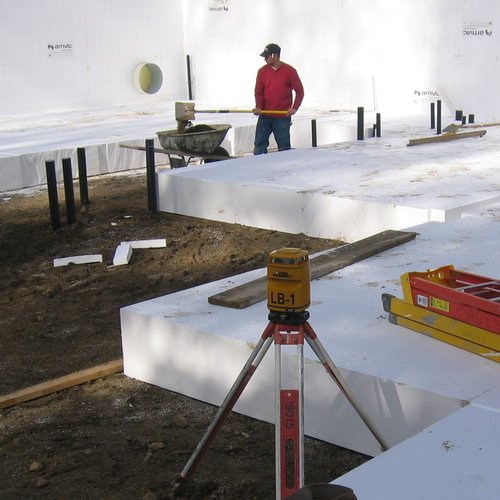 David White addressed these questions by introducing a case study: a new construction project in Huguenot, New York, a Climate Zone 5 location with about 6,000 heating degree days. (White was a consultant on the project.) The owners were aiming for net zero energy. Thanks for a good summary of what some of the best folks in the industry think. One more factor that points towards going a little beyond the PV cost tradeoff point is the possibility that future residential electric bills will include a peak demand charge. In the winter, that could be driven by the overnight heating demand on the coldest night. A better envelope reduces that demand, and also makes it easier to adjust the timing to either spread the usage more uniformly over 24 hours and reduce the peak, or take advantage of time of day usage rates. These things would not only help reduce the homeowner's bills (given a future rate structure with the right carrots and sticks), but would also help allow the grid to accommodate more wind, PV, and heat pumps. That's one of the reasons why all three of these experts recommend investing in envelope measures that cost more than the PV-tradeoff analysis would dictate. Marc's graph of load v. case starts at case 2, which is already much better than code. It would be interesting to see the trend from code to case 1 to case 2. I suspect that is much steeper than the remaining steps. If demand charges become egregious there are existing system & software used in the commercial space for limiting demand charges that can be easily down-sized for residential applications. If the rate structures create a market, these solutions would take only weeks or months of development time to scale for residential sized loads. Batteries are getting cheaper too. Solar City already has a residential scale self-consumption (no export to the grid) package of battery + grid-aware HW heater + PV being marketed in Hawaii and Australia. It's likely that package could be converted to a demand charge avoidance system with a software update. IIRC in Hawaii it's selling at ~$3.50/watt, which was roughly the US average cost for residential rooftop PV alone in 2015. It'll will surely become cheaper year on year as the cost of both the PV and batteries continue to fall. 2) Passivhaus standards are optimized only for climates that are comparable to Darmstadt, Germany. This was the main reason for the split between PHI and PHIUS and the reason I am planning to certify under PHIUS. Minnesota is a very different climate than Germany, as you noted above. 3.17 btu/sf/hr is not a realistic target for Duluth and is not based on any cost-effective measure, but instead based on a carbon allotment per person that is optimized for Germany. PHIUS recognized this and they have the peak heating load at 5.7 btu/sf/hr for Duluth. PHIUS says that is the cost-optimized target for Duluth. I guess we will have to take their word for it, but it is clearly more sensible than targeting a metric designed for Germany. 3) Marc's graph which showed the consistent levels of plug loads and DHW energy usage was very enlightening. It also made me wonder why there is so little emphasis on these things. Having gone through a lot of PH training over the past few months, everything has been focused on heating and cooling loads. While PV is not a tenant of PH, it is often prescribed as the cure for high plug loads and DHW. I think that may be a bit short-sighted as the constraining factor for many folks is roof space, not the cost of PV, especially with the extension of the subsidies, available financing, and assuming net-metering survives. I believe we need to focus more on plug loads and DHW because I think more folks are going to switch to EV's, especially as prices declines. I am using about 8k kwh to drive 20k miles per year in my EV. That is about equivalent to what Marc is showing for total energy loads in all the cases he looked at. We need to drive down plug loads and DWH so we can make room for EV plug loads. And I don't think it is that tough. For a measly $20, I purchased a Kill A Watt and was able to find ways to save about 1,000kwh/year. My current home DHW design is pathetic. I have designed a very efficient layout for my next house to minimize the hot water runs. There are not a lot of architects out there who are designing homes to minimize hot water runs. That needs to change. I truly believe we can get to a near zero operating carbon footprint for both residential housing and transportation, but only if we focus on all 3 components of energy usage and not just heating/cooling. I agree that PHIUS's new climate-specific standards make more sense than Darmstadt's one-size-fits-all approach. But I'm not yet convinced that the PHIUS targets always make sense. I also agree with you (and Marc Rosenbaum) that ignoring domestic hot water and plug loads is a mistake. For many years, the Passivhaus standard was focused mostly on space heating; while recent tweaks to the standard have broadened the standard's focus, many Passivhaus designers don't yet understand the implications of Rosenbaum's bar graph. I like the approach of trading off the cost of insulation vs. the cost of wintertime space heating. (And appreciate people sharing their data with others.) Just have to consider summertime AC too, a small contributor. And as mentioned, comfort, and survivability when the power grid goes out. (In the coming decades, it is LIKELY at some point, we will lose power not for days, but for months.) So biasing toward more insulation and air-sealing makes sense. 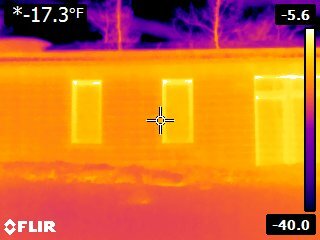 But winter space heating isn't just an insulation/airsealing vs. PV tradeoff. PV doesn't heat a home by itself. You must also include the cost of the heating system chosen to work with that level of insulation and air-sealing. At the most recent NESEA home tour I attended, the construction project lead said to start designing with a natural gas space and water heating system. (Totally disagree!) Most NESEA members probably prefer an all-electric home with minisplits. Those systems should be included in the "PV cost" column, along with their recurring fuel, maintenance and replacement costs. Insulation lasts almost forever if installed properly, requires no fuel or maintenance costs. One of the "classic" Passivhaus ideas was to eliminate the winter space heating system. That's typically a very big savings, that is used to justify their high levels of insulation and pricey windows. Adherence to Passivhaus (or PHIUS) standards may lead you to using a resistance heating element in an HRV. Far cheaper than a minisplit or two, or a natural gas heating system (and all of its associated components that are required). Include those cost differences too. And Passivhaus also considers embodied energy etc. PS-I'm not an advocate or opposed to PHIUS, Passivhaus, the "pretty good house" approach, or using minisplits for space heating and cooling. IMHO they are reasonable approaches to take. My preference is something like Marc's Case #10. Once we design a great winter space heating solution, we can tackle hot water heating and plug loads just as aggressively. And other homebuilding costs. Separately. Summary: If the heating load is low enough, its difficult to cost-justify any type of heating system besides electric resistance heating (units are so cheap vs. alternatives). That's how you cost-justify insulation and R-6 windows. Include the price of the entire heating system, including fuel, maintenance and replacement costs, not just PV. Amory Lovins and Wolfgang Feist have been talking about "tunneling through the cost barrier" (paying for the cost of an expensive envelope with HVAC equipment savings) for a long time. A few builders have managed this trick -- you sound like one of them. Another is Massachusetts builder Carter Scott. Most builders of Passivhaus homes in the U.S., however, have failed at the task of tunneling through the cost barrier. They've been tripped up by $8,000 ERVs and other complicated pieces of heating and cooling equipment. As I've noted before, if you can't beat the cost of an inexpensive furnace (or an inexpensive split-system heat pump), you can't brag about tunneling through the cost barrier. It sounds like you've done it, though. Well done. - DHW and plug/lights/appliances are higher than heating and cooling in these cases, but note that space conditioning load is a function of the building design and construction, and is embedded in the building for a long time, and how much energy used for the the other two is solely a matter of choice by the occupants as well as device conversion efficiency, and the service life of the devices is short relative to the building service life, so these non-space conditioning usage levels may drop, either in an emergency, or over time as technology evolves. - Design heat loss is also dropping as we go from Case 2 to Case 10, from 20,400 BTU/hr to 12,900 BTU/hr. At some point this may allow a more simple HVAC system. - If net metering goes away, and we have more incentive to satisfy the loads contemporaneously with generation, lower heating load helps, particularly because heating load happens when solar gain is lowest (in case some people hadn't noticed that :-) so making a true zero energy house (vs. net annual zero) is easier with a much better envelope. I agree with much of what you say. Most clients east of the Rockies want cooling so the single zone minisplit heat pump is a reasonable cost for providing heating and cooling. 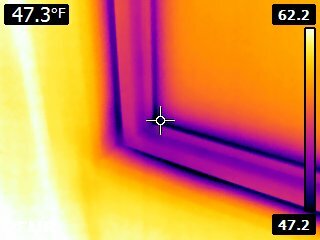 We really can't in this northeast climate heat a building with a electric duct heater in the HRV supply unless we significantly overventilate. In CO where you built your passive solar house, the electric grid has almost 3X the CO2 emissions per kWh as the New England grid, and the cost of electricity is (I think) lower, both due to it being primarily coal. So I tend to try to avoid significant resistance heating and think a minisplit is a good mid-range solution that doesn't break the bank. 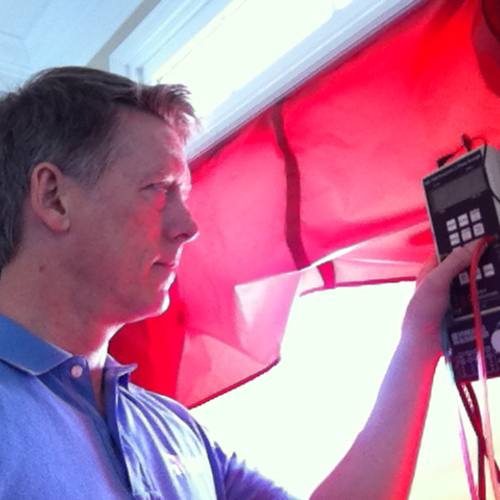 In Germany and high-altitude CO the summertime outdoor dew point averages are 50F or lower, and you can typically deal with cooling loads by nighttime ventilation strategies. But that doesn't work in most of the eastern half of the US, which have high latent loads as well as significant sensible loads, with summertime dew points north of 65F, which is above optimum human-health levels. A cooling-only ductless mini-split is typically only $500-1000 cheaper than cold climate mini-split of comparable cooling output. The heating output is usually a bit higher than the rated cooling, and the heating load of a Pretty Good House will often be lower than the cooling load a zone 4A or 5A climate, so the upcharge of a heat pump vs. a cooling only unit ends up being comparable to or even cheaper than a resistance heating solution. At half the building performance and leveraging the power use of a mini-split you're still a bit ahead of the game on total carbon footprint of the heating system compared to resistance heating, even if the heating/cooling balance point has moved down to the high 40s F from the mid-50s for a "pretty good house" approach. You'd have to run the analysis on your real temperature bins and insolation factors, and estimated balance points etc to know exactly where the crossover is, but it's not at all a slam dunk to go PHIUS vs. PGH/w mini-split. The builder/owner Matt Beaton is currently serving as the Secretary of Energy and Environmental Affairs in the MA state government. If you divide up the possible outdoor dry-bulb and wet-bulb temperatures at a particular location into small ranges for consideration or analysis, these ranges are called "bins" (think of a box or a cubby) or "temperature bins." Here is a link to a page with more information: Annual temperature bins. This is a great discussion and I intend to re-read it several more times. I would however, like to throw in a comment so that it gets in the mix early on. I'm speaking from the perspective of a Northern, heating dominated climate, and I think that there is a real danger in over-relying on net metering and the goal of "Net Zero Energy" . Our heating energy loads are much higher in the winter and demand loads go up too, probably because the days are short and we spend most of our time indoors. I also think that HWH loads go up somewhat in the winter (longer showers? ), although I haven't seen much data on that subject. Unfortunately PV production drops off during these periods. Insulation, however, does most of it's work when the weather gets cold. I think that equating PV output with insulation savings is an apples to oranges comparison for that reason. If we rely on the utilities to bridge this gap, then we will be guaranteeing the continued burning of fossil fuels during part of the year. I appreciate Net Metering as a mechanism for jump starting the PV industry, but it creates a large scale, dependency on seasonal utility back-up generation. Patting ourselves on the back about Net Zero (annually only) buildings does the same thing. Let's start thinking about being Net Zero on a monthly basis. I totally agree that we need to re-focus on our HWH and plug loads, but we also need to err on the side of more insulation, managing demand loads and changing occupant behavior if we want to solve the winter time problem. Net Zero houses relieve quite a bit of peak grid load on the grid during the air conditioning peaks, which is typically the annual peak in heating dominated climates, saving non-solar ratepayers quite a bit on grid infrastructure costs (due both lower size/capacity and maintenance requirements.) Wintertime output in cold climate is diminished, but still well over half the peak season, but unlike cooling season loads, the time of day of the PV output is poorly correlated with peak heating load, which typically occurs during the dark zero-output hours. Still until there is a LOT of PV on the grid, the presence of net metered rooftop PV is a net benefit to all power users, and on high-carb grids is still offsetting the carbon. Great, practical, common sense comments Jim. In some climate we have such poor wintertime solar production (clouds, long periods of rain, etc), that the ideal of net zero only looks good on the energy accounting side, not the real life day-to-day side. Actual PV production per installed kW for each particular site is a very important variable in this equation that can not be understated. Wow I'd like to know more about getting wind power at rates comparable to the typical utility power rate. Is there an article or could you provide info, if available to the average consumer? You seem concerned about "relying on utilities to bridge the gap" -- that is, the gap experienced by PV-equipped households during cloudy weather and at night. As someone who has lived off the grid for 41 years, I say, "Thank goodness we have the grid to bridge the gap. The grid is great." What do you want instead, Jim? Do you want an off-grid house? Fuggedaboutit. The grid is efficient and wonderful. It sure beats huge batteries and a gasoline-powered generator. The grid is much more efficient than the off-grid option -- and the grid is becoming less carbon-intensive every year. When I drive down the town road from my house to the post office, I can see a line of utility-connected wind turbines on the next ridge. These turbines spin all winter long, providing enough electricity to power every house in my county. That's great. I don't want my own wind turbine -- but sometimes I wish I had access to the grid, so I could use some of that wind power that is generated at night, during cloudy weather, and almost all winter long. Let's stop fetishizing the off-grid life. We don't all have to be off-grid. Being grid-connected is a great idea. And utilities are developing ways to integrate wind and other low-carbon sources of electricity in efficient ways -- ways that are far more efficient than any attempt by homeowners to make their electricity use coincide with their PV production. Your calculations quantify what I was trying to say: namely, that the grid is quite efficient. If you have a PV array and you use the grid to cover your electricity needs when your PV array isn't producing electricity, you shouldn't feel guilty. My guess is that your calculations understate the carbon emissions of a small Honda generator. If I'm running my 5,000-watt Honda generator to charge my batteries (and simultaneously to power my washing machine) during the winter, I'm not using all 5,000 watts of generator output, so the CO2 emissions per kWh are likely to exceed Honda's optimized lab measurements. As batteries become cheaper, and as carbon taxes and carbon-reduction targets become the law of the land, these cheaper batteries are going to be deployed by utilities to minimize the use of natural gas generators, and to make better use of wind power and PV. Utility-scale deployment of batteries will be much more efficient than home-brew solutions like the Tesla Powerwall. I think some of the disagreements here might be the result of two different kinds of questions one might ask in planning a project. One question is incremental: given the options of the on-site systems available now, and the mix of generation on the grid now, what choice will minimize CO2 impact at a reasonable cost? (Or minimize cost at a reasonable CO2 impact.) With some guesswork, you can also extend that to look at the likely grid mix over the next X years, etc. But you are still asking the question of the incremental impact of your project for a particular trajectory of the overall energy system. But another way of thinking about it is to ask what a truly sustainable energy system would look like, and to design a building to fit into that possible, if not likely, future vision. The hope there might be to model the type of construction you would like to see more of, as well as to make a building that would work well in that scenario if it comes to pass. To put it starkly, the first approach is a good way to make sure you have a clean conscience even if the worst climate change predictions come true. You can plan to exit the world gracefully, knowing that the chaos resulting from climate change isn't your fault. But the second approach seems to be a way to make a sincere attempt towards something better, even if the chances of success are low. One way to describe that is to aim for having some positive "handprint" not just reducing your negative "footprint". The choices you make with the two different approaches might not be all that different, but they are different way to think about it, and might lead you to strike a different balance on the PV vs. envelope debate. Considering the incremental approach, the answer to the question "what happens during a cold, cloudy week when everyone has net-zero houses heated by minisplits" never really arises--that's simply not going to happen. And the net-zero houses that do exist will be bravely doing their part to offset fossil fuels when the sun is shining, and will be consuming less fossil fuel than they offset over the year ... and certainly less fuel than a Honda generator. His scenario for NH, for example, is about 32% PV, 60% wind, and 8% hydro. It solves the cloudy-winter-week/cold winter night problem partly by relying more heavily on wind than on solar, partly by ramping up the hydro as needed (cold nights, and particularly cold nights when there isn't much wind), and by doing a bunch of demand response. He shows that it could be feasible. Then the question is where do buildings fit in? His scenario has 4.5% residential rooftop solar in NH. So that's part of it, but not all that big a deal. Public acceptance of wind and transmission lines to integrate all of this are important challenges, but not especially related to green buildings. So I think that the biggest thing a green builder can do to help work towards that scenario is to build buildings that a) Don't have high peak loads on winter nights, and b) have the capability to participate in demand response. Better envelopes help with both of those. DHW tanks, and perhaps eventually space heating storage tanks, can also help. Some analysts have estimated that the grid can handle residential PV systems fairly easily, with minimal disruption, until PV supplies more than 20% or 25% of the electricity mix. Then things get tricky, as the utilities on Oahu are realizing. To me, the question is not, "What is the local electrical utility going to do on cold winter nights if more people heat with minisplits?" That's not a problem right now, and it won't be for at least a decade. The question is, "What's the grid going to look like when we hit 22% PV, or 24% PV?" My guess is that the grid is going to be different than the grid we have today. There are lots of moving pieces to this puzzle. Wind turbines are providing an increasing percentage of our nation's electricity. Battery prices are dropping, and some utilities are already experimenting with battery storage. Hydro Quebec continues to offer U.S. states contracts for purchasing hydroelectricity from north of the border. As we try to determine whether our wintertime electrical usage is ethical or unethical, we should realize that some solutions proposed by GBA readers may be based on wrong guesses about the future electrical grid. I think it makes sense in most climates to exceed code minimum requirements for envelope R-values and airtightness, but aiming for the Passivhaus standard is probably a waste of resources. As we aim for a carbon-free future, we don't want to invest tens of thousands of dollars to save tiny amounts of energy if there are cheaper and more effective ways to lower our carbon emissions. I agree with almost everything Martin says. That might mean my comment was unclear, since he frames his comment as a reply to mine. But I am happy to report that solar capacity is well above 1%! Nationally, it's 2.3%, in New England it was 4.3% at the end of 2015, and even though most of the New England solar cpapcity is is MA, VT actually has a higher percentage, 19% of capacity ( including imports in the denominator). Even NH is right around 1%, and growing fast. I'm not worried that too much solar on the grid will be a crisis. Rather, I am pleased to see that we are getting to a point where stuff that green builders like to do, such as making buildings that have long thermal time constants, will start to be be more clearly and directly useful and clearly valued. "Overall, U.S. solar generation, including both small-scale distributed PV and utility-scale PV and thermal solar generation, was equivalent to about 1.0% of total reported electricity generation from all utility-scale sources in September 2015." "Today EIA forecast that large-scale renewable energy, including hydroelectricity, will rise to 14% of U.S. electricity generation in 2016, with utility-scale solar representing 0.8% of that. ... The agency specifically excluded distributed solar, which both kWh Analytics and EIA say represents around a third of total generation. Thus if behind-the-meter solutions were included, solar could supply around 1.2% of electricity generation in 2016." Martin, our numbers are more consistent than they might seem--yours are generation whereas mine are capacity. Various sources agree that it's ~1% generation (nationally) and ~2% capacity (nationally). Sorry I jumped to the conclusion that your initial 1% was capacity. For generation, I would only want to revise it to say "about 1%" or barely more than 1%" rather than "less than 1%". No apology needed -- my statements were ambiguous. Thanks for the additional data. I think the grid of tomorrow is going to have a lot of PV and a lot of storage (batteries, electric trains going up hill, etc). Utilities just can't justify building new coal or nuclear plants today. From start to finish, it would take at least 20-years to get a new nuclear plant completed, if you could even get it approved. Much easier, quicker and cheaper to build a solar farm and store the excess generation for use when the PV stops producing. This is happening now and it is just going to continue to grow. I don't know if the economics in MA are still the same, but my BiL purchased a 7.5KW PV system for his house about 2 years ago. With the rebates, his payback was about 3 years and he has been net zero plus since day 1 with a standard construction 15 YO house. With those kinds of returns, no wonder MA has a lot of solar capacity. The EIA has a history notoriously lowballing both current levels of renewables and ridiculously lowballing projections of renewables growth, publishing projections of capacity at some point years hence when those numbers had already been surpassed. They are (sadly) anything but an authoritative source on the subject since they even have a hard time predicting the past, let alone the present or future when it comes to distributed renewables production. That said, 1% of all US power generated as coming from PV in the month of September 2015 is the right order of magnitude. Greentechmedia is just one of many critics of the EIA on this shortcoming. ...and they've finally gotten to the point of trying to defend themselves (however tepidly) from more outspoken critics such as GTM contributor's Jigar Shah (founder of Sun Edison, one of the early third party ownership $0 down business model companies, which he sold in 2008). But the order of magnitude is still good enough to plot the likely trends. The capacity and total amount of PV output generated in the US has been doubling roughly every two years, so whatever it really was in September 2015, it's almost certain to be 2x or higher by September 2017, and likely to be 4x higher range by September 2019. The learning curve of solar is more than a 20% cost reduction with every doubling, and as the installed price crashes through ever more levelized cost of energy thresholds. The learning curve of lithium ion batteries is more than 15%, and doubling at an even faster rate than solar in recent years. Business economist academics get this as do many others. Government policies in China & India driving a rapid roll-out of electric vehicle technology will likely accelerate the year on year declines in battery cost. India has followed Norway & the Netherlands in setting a date-certain after which all cars & light trucks and other personal transportation may not use internal combustion. In Norway & the Netherlands that date is 2025, India 2030. China is hoping to become the leading manufacturer of EVs, but they DO have competition. The fast learning curves mean pace of the transition can be almost blindingly fast- faster than the transition from steam to diesel electric locomotives, or the change from horse powered transport to cars. Thanks for verifying that "1% of all U.S. power generated as coming from PV in the month of September 2015 is the right order of magnitude." It looks like you, Charlie and I are close to agreeing on this point. When I wrote "less than 1%," I probably should have written "about 1%." But my statement was either very close or not very far off at all. You wrote, "Greentechmedia is just one of many critics of the EIA on this shortcoming [bad PV forecasts]." You're right. Another one is a web site called GBA. Here is a link to our July 2015 article on the topic: Government Estimates on Renewables Are Way Off. I am curious about some of the first upgrades. I realize the focus was on "too much insulation" and found it very interesting and instructive that, for example, increasing Roof R from 60 to 90 yielded a measly 89 kWh savings. Even with grid supplied resistance heating that's perhaps $10 - $15. But, if I'm reading this correctly, going from code to case #2 (the results for case #1 weren't shown) resulted in an annual reduction of 3,597 kWh. That's 40 times as much. But that included 4 changes/upgrades (everything but Roof R). I assume that the calculations were done in 4 steps and would love to know how that 3,597 kWh was distributed. Again, I understand why that information might be considered irrelevant for this article but I am curious, especially the window upgrade vs air tightness improvement. I note that the R 5.5 to R 7.0 window upgrade yielded a 223 annual kWh reduction. I am willing to bet that the R 3.2 to R 5.5 window/door upgrade is a whole lot easier to justify. I obviously missed the part about the 2.5 COP heat pump assumption. So, if, for example, resistance heat were used instead, the savings would be about 2.5 times as much? Meanwhile the cost of PV keeps on falling. 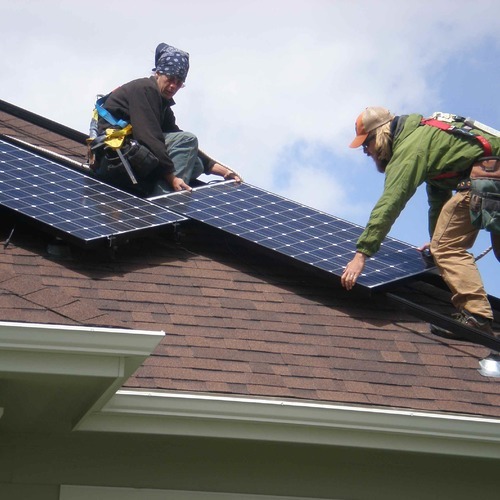 "Residential PV prices in the U.S. average $3.00 as of the first half of this year. According to the report, soft costs make up 64 percent of residential system costs today, and despite system prices falling by a third by 2020, soft costs will still account for 60 percent of the total system price." Harmonization of connection standards and permitting would go a long way toward cutting the soft costs down to size, and it's important since the soft costs are now the lion's share of the total cost, which was not the case even three or four years ago. Unsubsidised $3/watt and a 5% discount rate, at a 13% capacity factor (typical of New England states) has a levelized cost of about 19 cents/kwh in a 25 year analysis. If the soft costs were cut in half overnight, the cost of rooftop solar would be about $2/watt, which would bring the levelized cost down to about 13 cents, very close to residential retail parity at the US national average. When factoring in the various federal & state subsidies those thresholds are being crossed sooner, making the simple financial case for not quite as much building envelope efficiency pretty compelling even in the nearer term. Which approach is actually greener on a lifecycle basis depends a lot on the details of how the higher performance of the building envelope is achieved. Not all R is created equal in terms of environmental footprint. I love my house and these three are heroes!!! With all the noise in the industry around "passive house," these three are some of the most pragmatic, knowledgeable and innovative professionals out there. Thank you and keep up the good work!!! Thanks for sharing your enthusiasm for your "way net positive" house. That's great! One comment on renewables saturation - check out California. 25% of their retail electricity in 2014 was renewable (not including rooftop solar). Don't know how they're doing it, but curious. About Passive House - I think the choice of heating energy demand as the type of target is problematic, rather than the stringency of the target per se. Even in the same climate, PH may be a waste of money for a small detached building (like Ben's house in Huguenot), while it's perfectly optimal for a larger and/or attached building. Variability of solar access applies here as well. I like that the PH heating energy target encourages intelligent use of all available techniques for efficiency, but it doesn't make sense as a marker for economical building because the economics vary so much from site to site.